Do road signs make you scratch your head in confusion? Here's how you can work out what they mean. If you want to drive safely and avoid breaking the law, it’s wise to have a good understanding the meaning of the various road signs you’re likely to encounter. 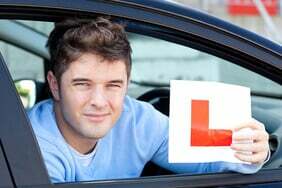 If you’ve passed your driving test, you should have already either sat a theory test or demonstrated a decent level of road-sign comprehension. 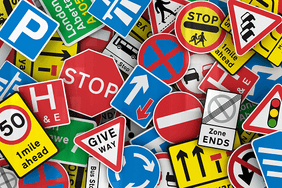 But if it’s been a while since you took your test, or you just want to brush up your knowledge, we’ve put together simple guide to some of the most common road-sign queries. The shape of a road sign plays an important role in what it means. Circular signs generally give orders or impose some sort of prohibition on motorists – especially those with red borders. Speed limit signs are the most common example of circular, red-bordered signs. This format is also used for the likes of no right / left turn signs, no U-turns, no entry, as well as for weight, width or height limits on the road ahead. Blue circular signs are used to give instructions – for example, ahead only, or turn left/right ahead. Blue-circle speed signs are for minimum rather than maximum speeds – but these are of course far less common. 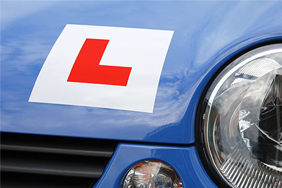 Triangular signs are used for warning drivers, usually about road conditions or layouts ahead. These generally have red borders. Warning signs like this also cover the gradients of hills as well as level crossings or upcoming tunnels. Rectangular signs provide a wide variety of information to motorists, often in conjunction with circular or triangular signs. For example, a triangular give way or stop sign often has a rectangular plate beneath it with the words GIVE WAY or STOP and the distance to the relevant junction. At the approach to a roundabout, you may see a rectangular plate telling you to REDUCE SPEED NOW. With the hazard warning sign, a rectangular plate is required to give details of whatever danger it is referring to – common hazards with this kind of sign include hidden dips, blind summits and roads which are liable to flooding. Rectangular signs on their own are used to communicate information such as parking restrictions, no through roads, congestion charging zones and bus lanes. They can also give information about lane restrictions ahead or which lane you should be in depending on which way you want to turn, as well as warn of speed cameras on an upcoming stretch of road. Blue rectangular signs are commonly used to give information such as directions, exit details and distances to upcoming towns and cities on motorways, while green rectangular signs perform the same role on major non-motorway routes. Many road signs are self-explanatory: few of us would claim to be confused by a speed limit sign or a speed camera warning. But there are a number of signs which are far less straightforward – but every bit as important – to understand. This sign means you are allowed to stop to drop off or pick up passengers but may not stay for any longer. In some instances, a no waiting sign may be accompanied by single yellow lines. This means the restriction is only in force at certain times of day or on certain days. More details should be shown on nearby rectangular signs. If the no waiting sign is accompanied by double yellow lines, the restriction is permanently in force. This applies on certain busy routes: you are not even allowed to stop to set down or pick up passengers. As with the no waiting sign above, this restriction may only be in force at certain times. This usually designates a busy urban road where vehicles are not allowed to wait – but typically, the restriction only applies at certain times of day, usually during rush hour. In London and parts of the West Midlands, some roads are designated as Red Routes with double red lines: no stopping is permitted at any time here. Again, this may only apply at busy times. This sign supersedes any previous speed limit signs, and it means that the national speed limit is in force on the upcoming stretch of road. 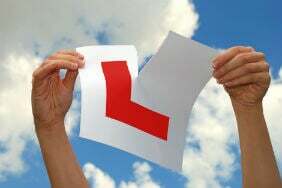 For single carriageways, the national limit is 60mph and it is 70mph for dual carriageways. Bear in mind that the national limit is often applied to country roads even though travelling on parts of them at 60mph would be very dangerous.